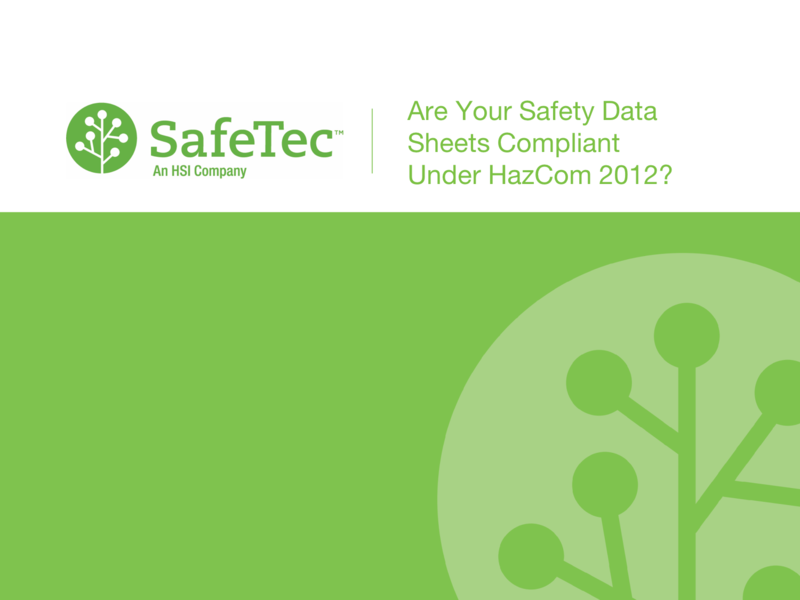 With the globally harmonized system for hazard communication (GHS) implementation, all material safety data sheets (MSDS) need to be updated to safety data sheets (SDS) to be compliant under the HazCom 2012 guidelines. Even with guidance provided by the United Nations and OSHA, old material safety data sheets still exist, and up-to-date safety data sheets have oversights that do not follow the new guidelines. Safety data sheets that are not updated or inaccurate can have both costly and hazardous repercussions to the environment, businesses and workforce. Complete the form to start viewing the on-demand webinar.